Alex is a baseball player. A great one. His papi is pushing him to go pro. But maybe he wants to be a poet. Not that Papi would ever understand, or even allow it. Isa is a great dancer. She’d love to go pro except her mom is dead set against it. And her Park Avenue life, what with her dad losing his job and her brother getting kicked out of college, is falling apart. What happens when the two of them meet on the subway? Sparks…and much more. I’m so excited for you to meet Isa and Alex! I hope you love them as much as I do. This story is about NYC teens from opposite sides of the tracks (literally) who fall in love while trying to manage family expectations and their highly scheduled lives. It’s available for pre-order NOW. "Fierce and tender—and absolutely worth reading." "Heartfelt, heartbreaking, and - yes! - even a little heart-healing too"
"Realistic and compelling...Young adult readers will connect with Mari’s feisty personality, strength, and vulnerability." 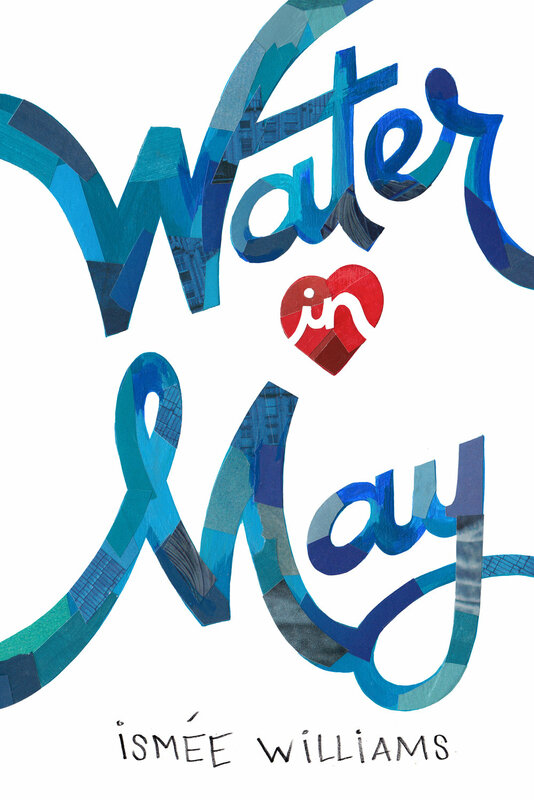 "There wasn’t a chapter that didn’t put tears in my eyes or make me ache...WATER IN MAY is a prime example of the power of young adult literature." What if your baby had half a heart? Fifteen-year-old Mari Pujols believes that the baby she’s carrying will finally give her a family member who loves her and won’t ever leave. Not like her mama, who took off when she was eight; or her papi, who’s in jail; or her abuela, who wants as little to do with her as possible. But when doctors discover a potentially fatal heart defect in the fetus, Mari faces choices she never imagined. Surrounded by her loyal girl crew, her on-and-off boyfriend, and a dedicated doctor, Mari navigates an experience that could devastate the bravest of women. But Mari’s a fighter. She won’t give up. And while Mari’s future is as uncertain as her unborn baby’s, her darkest moments shed light on what it truly means to be part of a family. Interested in using WATER IN MAY in the classroom? Below you will find a Common Core Standards TEACHING GUIDE for WATER IN MAY by Amulet Books. You can also download it HERE. 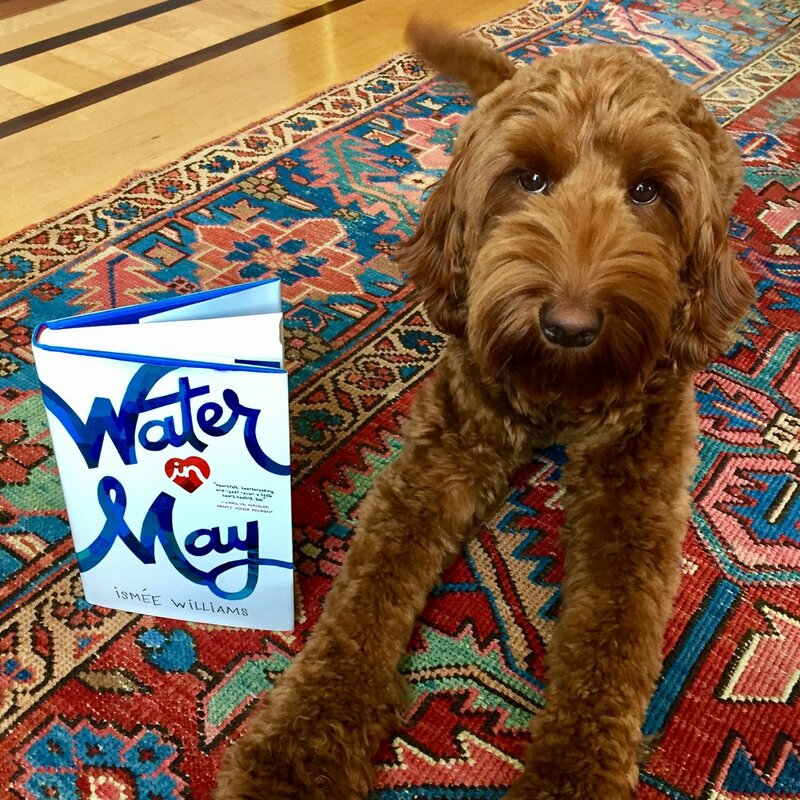 Thinking of using WATER IN MAY in your book club? Below you can find the book club DISCUSSION GUIDE for WATER IN MAY by Amulet Books. You can also download it HERE. I am a doctor, researcher, wife, mother and writer! I live in New York City with my husband and our three daughters. I love to read, travel, cook and play with my kids and our dog, Rowan, who is commonly mistaken for a muppet. You can follow Rowan on his own Instagram @redrowandoodle. (You can follow me on Instagram and Twitter at @IsmeeWilliams). YES! I trained and practiced pediatric cardiology at Columbia University Medical Center in New York City for 15 years. Currently, I see patients in the Bronx at Montefiore Hospital. My mother was born in Cuba. My abuelos (grandparents in Spanish), lived with us when I was growing up. When I was pregnant and on bedrest with my third baby, I picked up a YA novel, fell in love, and decided I wanted to write something like that–something that would deeply affect a reader. Water in May is my first novel. Jim McCarthy of Dystel, Goderich & Bourret LLC is my most excellent agent. Do you do book events? YES! I love talking to kids (I did go into Pediatrics for a reason!). Please contact me if you are interested in scheduling an event at a festival, library, book store or school. Click below to read some of my past interviews and blog posts! Heart defects are the most common of all birth defects. Roughly 8 in 1000 babies born - that is around 40,000 babies each year in the USA - are born with structural problems in their heart. The term doctors use for these problems is Congenital (meaning you are born with it) Heart Disease - or CHD. CHD comes in all forms. Every heart created is like a flower. Significant advances have been made over the past twenty years in the field of pediatric cardiology. These include improvements in fetal detection (finding out about the heart problem during pregnancy so the parents and doctors know what to expect and do when the baby is born), newborn surgery and care (some babies cannot leave the hospital without a life-saving heart operation), causes of CHD (why the heart defect happens), and long-term support. Yet still, only 60% of babies born with the heart problem that Angelo and Amelia had will be expected to live long enough to celebrate their first birthday. I have partnered with Colin's Kids to help raise awareness of CHD. A portion of sales of WATER IN MAY will go to Colin's Kids to raise money for medical research as well as families in need.